It’s a fair question, and one I’ll answer with ruthless honesty as always. (OK, to be technically accurate, this is a pre-review of the event. 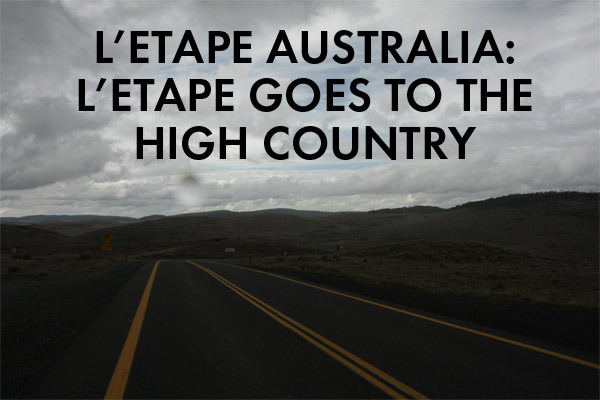 Etape Australia carries the imprimatur of the ASO and the heavy weight L’Etape du Tour. That, however, doesn’t mean you ought to automatically do it. Etape Australia is not going to be like L’Etape du Tour, and here’s why. Before we start, I’ll caveat this post by saying I was initially super excited about Etape Australia. Whilst the route is underwhelming, the pricing eyebrow-raising, timing less than optimal and location curious, if I was of a mind, I’d do it. First and foremost, let’s look at value for money which is also known as Return on Investment (“ROI”). The course: difficulty of ride, length and climbing. Firstly, cost of entry for the Race is $345 ($295 early bird). Entry for L’Etape du Tour—in France, on an as-raced Tour de France stage—is €100 for 2016 (i.e. $150AUD at 1AUD=0.66EU April 6 2016). Sure, for Aussies, there’s no overseas travel costs, but the costs to travel and hire cars, plus fuel and accommodation, are not trivial. Accommodation especially, in Australia, is a non-trivial consideration. Plus, you can’t really compare Etape Australia to L’Etape du Tour. Spending AUD$1000-$1500 on a few days doing Etape Australia provides, I think, a much poorer ROI than spending $5k on 2-4 weeks in France doing Etape and seeing Le Tour de France (possibly squeezing La Marmotte in). And if you’re coming from overseas; I personally believe it’s not worth your consideration unless you’re already going to be here. That is, I personally wouldn’t come to Australia just for Etape Australia, unless you were going to fit it in with a bigger Australian holiday. And for $300, you can do Peaks Challenge Gold Coast, Tasmania or Falls Creek. You completely avoid the driving problem for Gold Coast and Tassie—Falls still requires a big drive from Sydney and 4.5 hours from Melbourne—and in all 3, you get a much, much harder course. 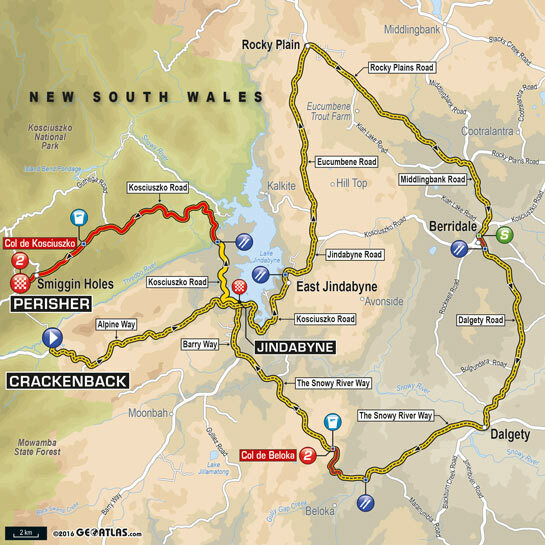 Yes, Etape offers some cool inclusions, but most sportives like Peaks Challenge, BUPA Challenge (Tour Down Under) and Around the Bay all offer sweet inclusions and free stuff. An interesting aspect to entries is team entries: the fastest team (of 9) gets 9 entries to L’Etape du Tour 2017. Allez! Team sizes of 9 are very large though. I wonder how many people are going to be able to convince 9 friends to get time off and commit to the cost that close to Christmas? Etape Australia is on closed roads, which I think significantly adds to its appeal. Having done gran fondos in Australia on open roads, you can be subjected to typical Australian motorist behaviour such as having projectiles thrown at you or abuse hurled at you. L’Etape du Tour typically pulls between 7000 and 13000 entrants. And the Ronde Van Vlaanderan (Tour of Flanders) sportive had a rather fantastical and eye watering 16,000 entrants. Etape Australia, I think, will do well to get 1500-2000 people. I might be wrong about this, but it’s based on experience. For example, the recent Peaks Gold Coast had about 1200 people, and it was located right near an international airport (Gold Coast) and at a time of year offering escape from the freezing southern winter. And a 1500-strong field is not anywhere like a big, big Etape field. Nevertheless, with all the pageantry and carnival atmosphere, it will still be a buzz. 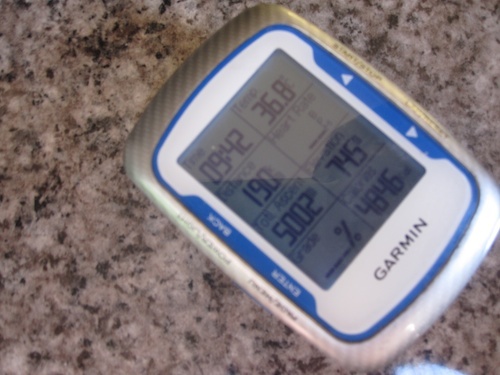 It’s really hard to describe the buzz of an Etape, so perhaps you could read my reports from 2009 (Ventoux), 2010 (Marie-Blanque, Soulor, Tourmalet) and 2011 (Telegraphe, Galibier and D’Huez) for an idea. Etape Australia offers two options: a 157km Race (hard) option and a 126km Ride (medium) option. Firstly, it’s a bit weird that there are 2 options: Etape du Tour has only 1 option. Secondly, why is the medium option only 30km shorter? 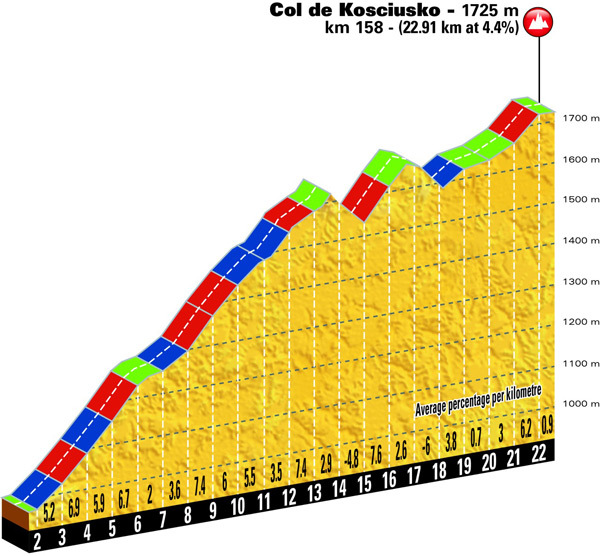 Sure, it omits Col de Kosciusko (note: Kosciuszko is NOT a Col. The correct terminology is probably Alpe de Kosciuszko), but Kosciuszko is only a 1000m ascent. If finishing is a concern, make it meaningfully shorter. Anyway, that aside, the route is interesting, and will offer spectacular scenery. The Race option, over 157km, offers about 2200m of climbing. It might be more, but it’s not stated (anywhere), so I roughly added it up from the below climb profiles. 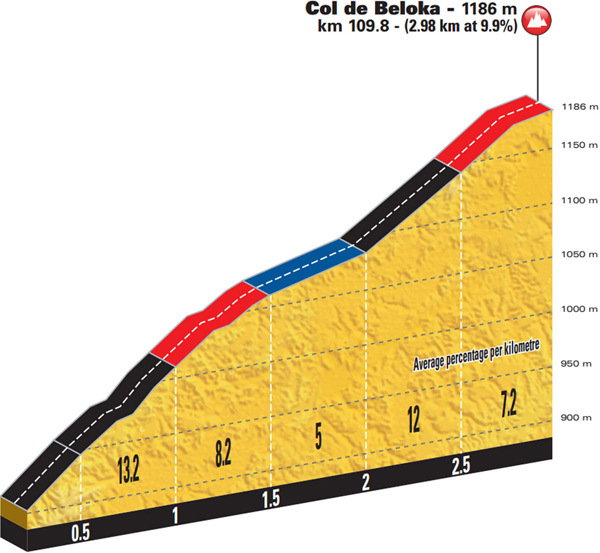 This rather short distance does not compare favourably to a typical Etape du Tour, with ascents often topping 4500m. In fact, Peaks Gold Coast and Falls Creek are in the vicinity of 4200-4500m over 235-250km and are the same price. So, I think the course is underwhelming. Sure, Beloka has some tough stretches, but nothing extraordinary: 1km at 13.2% is not shocking. And (the rather optimistically name “Col de”) Kosciuszko is much longer than most Aussies will be used to, but 22km at 4.4% (and a max of 7.4%) is a great tempo climb. Sure, it’s long, and will be fun, but with compacts, it won’t be hard. Although the Snowy Mountains are spectacular, the location has got me puzzled. Driving from Melbourne to Jindy? That’ll be 7 hours with stops. Sydney to Jindy? 5.5 hrs by road, then 1 hour into Cooma on the plane (then a hire car, or grab a shuttle). And for visitors from Brisbane, Gold Coast, Adelaide, Tasmania, WA or overseas, you’ll need to fly into Melbourne or Sydney then hire a car and drive. So where should/could this have been? The Victorian Alps would have presented a much better challenge, but you still have the driving issue to get there. Plus, it’d likely just be a Peaks Challenge Course. So, not really unique. This should have been in the Gold Coast or Brisbane hinterland, or even in Adelaide. There are lots of tough climbs in the Brisbane and Gold Coast hinterland, as well as Adelaide, with awesome domestic and international access into Brisbane, Gold Coast and Adelaide airports. Fly from Gold Coast to Melbourne or Sydney. Borrow a family member’s car or hire one. That’s probably 5 days off (2-4 off work). Just before Christmas. Not only do you have to convince the boss, but you have to decide whether it’s worth using your leave for this event. Obviously Australia doesn’t offer the same public transport infrastructure as, say, France. We don’t have high speed rail to key areas and we have less airports. But still, the Snowys are in the middle of nowhere, comparatively speaking. This might seem rather inconceivable to our French and Swiss readers, but Australian ski resorts are essentially ghost towns in summer. We don’t have a broad use of our ski resorts in summer for things like mountain biking. There are some exceptions, but it’s not like Morzine or Alpe D’Huez with mountain biking and road cycling. So, accommodation is potentially a real issue. Hopefully the organisers can convince accommodation owners (lots and lots of small businesses) to open up. As I mentioned here, the timing is puzzling. It’s on Dec 3rd which is likely to be the Tour of Bright, unless the ToB moves. So on that count, it’s going to count out any person who wants to ride the Tour of Bright. For what it’s worth, if I had to choose between the ToB and Etape Australia, I’d choose Etape Australia unless I had a chance of winning a division at TOB. Moreover, most people from Sydney and Melbourne are going to want 2-4 days off work. And if you’re coming from Perth, Adelaide, Gold Coast or anywhere else, you’ll probably want a week off. I’m sure that will go down well for everyone. The start and finish are about 45km apart. So if you’re staying at Perisher (the finish), you’ll have to get to the start, by riding downhill, and catching the included shuttle, which takes bikes, uphill to the start at Bullocks Flat. Or, you could just ride uphill to the start, adding 450m to the day. There are shuttles from Jindabyne to the start and finish which is awesome. If you manage to score accommodation at the start (Crackenback), then you’ll have to ride back there from the finish. One of the painful things about most Etapes du Tour, is the logistics, especially when the start and finish are so far apart. There’s never a shuttle for you and your bike, so you need team support. So, on this score, the organisers have scored a major coup in making things easier for people. Etape Australia is an exciting addition to the Australian sportive calendar but I think it has some serious shortcomings. Whilst it might not have intended to draw visitors from overseas, I don’t think the course offers enough of an attraction. Sure, Australia is bloody amazing, and is enough reason alone to visit, but it’s not like Etape du Tour+Le Tour + France in July as a drawcard. For those who have the cash to spend, and for whom holidays and logistics issues aren’t a big deal, go for it! You’ll have an amazing day, no doubt. But for those looking to spend their holidays and money in a judicious manner, I think Peaks Challenge or BUPA Challenge plus the Tour Down Under offer a much better Return on Investment. Thanks for the review Tim. I don’t even see how it’s an Etape really. For me, the BUPA challenge, being on the same course (and day) of a pro tour ride is more worthy of the name. And it’s a great event too. Hey Sean! Thanks for reading. I stand by my comments that the course is so underwhelming. Not that that is a deciding factor alone, but an Etape is meant to be an horrific descent into hell (with possibly no return). I agree re: BUPA – it’s likely I’ll be there in 2017 for a bikes and vines trip. And again, the Peaks Challenge Gold Coast, to my mind, sets the gold standard in AU for Gran Fondos. Plus there is a lot of other great cycling in that area if you do want to stay a bit longer. I would have to disagree with you on Peaks Challenge Gold Coast. As mentioned I've done all 3 of the Peaks Challenge and Gold Coast was my least favourite by far and would be the only one I would definitely not go back to for many reasons. Obviously it's convenient if you live on the Gold Coast but for me it's not worth flying to the Gold Coast to do again. Personally I'm willing to pay a bit more and travel further for fully closed roads. Agree – Etape Australia suits a) Sydney/Canberrans/South Coasters/Riverina/etc folks only, or b) those who can afford or want to take the time off. Interesting about Peaks GC. Having done loads of GFs including Etape du Tour, Peaks GC was just as fun and from a ride perspective, super gruelling. As an ex Melbournite, I’d be very inclined to head to the Gold Coast to do Peaks. Easy flights, easy accom, throw some surfing or golf in. At the end of the day, I don’t think Etape AU offers bang for buck, but that’s just me. I know a few local guys who have cash/time to burn who are travelling down. But a few friends who have cash/time to burn and live in Melbourne think it’s a waste (would rather spend their money/time heading to Europe). Like I said, horses for courses. Thanks for reading and have a blast on the ride! I am not a cyclist, so cannot comment on the course other than to remind you of the altitude at which people will be riding. 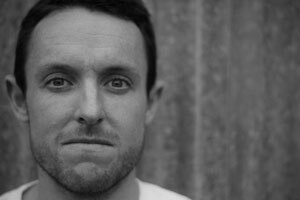 The start is at 930 metres above sea level and the finish at Perisher is 1740. This should present a challenge for those more accustomed to riding at sea level. As a resident of the Snowy Mountains, I’d like to make a few points on your comments about the area. It is obvious you are not familiar with the Snowy Mountains as some of your comments are incorrect. 1. There has not been a train service to Cooma for decades. The train line from Sydney stops at Canberra from where there is a x 3 a week bus service to Jindabyne. 2. Rex airlines fly daily into Snowy Mountains airport (near Cooma) at which there are car rentals and a shuttle service to Jindabyne. 3. The NSW Snowy Mountains do not close down in summer. They have a vibrant (and expanding) summer tourist season so accommodation of all price levels is available. Thanks Rosemary, will update the article. 1. This altitude makes no difference to most fit cyclists. 2. Thanks, have updated re: shuttle. 3. Compared to European ski resorts, Australian resorts are positively dead. I’ve been in the Snowy’s in summer and it’s based on this experience I made these comments. Obviously, things might be different for Etape. Tim, at the risk of sounding picky and pedantic, I really must protest. You really should base your comments on up to date information. (Please note, I am in no way involved in the tourism industry). Travel advice. There are direct flights into Canberra from all over Australia and car hire once one gets there. Since September, it has been possible to get a DIRECT flight into Canberra from both Wellington and Singapore. With all due respect, that is nonsense. When did you last visit the Snowy Mountains in summer? Thredbo has a huge mountain biking industry, there is a MTB trail all the way down the Thredbo Valley to Lake Crackenback, national and international MTB events all summer, the area has just hosted an international triathlon with more to come later in the season, waterboat racing, waterskiing, hiking, guided walks, fishing………. I, too, have been in the French Alps in summer. Now they are dead by comparison. Check the tourism websites before you critique our place. You can now ask the 4500 people who did L’Etape their verdict! Just wanted to advise I just rode the 157km race in the inaugural Letape Australia 2016. I cant remark on the timing of the event with against the other events taking place elsewhere, except to say If you want to do something enough you will find the way. We all have the ability to make choices. The skitube was used to get riders from Perisher finish back to start at Bullocks Flat. So no real problem there. The event was very well organised. People were friendly and the local community were absolutely awesome in getting behind the event and the riders. I will have to support Rosemary. There is a very active Trail Riding/MTBing and other adventure type industries thriving in the Australian ski fields outside of snow season. No its not like Europe. We are not Europe and (I think) the comparison is quite pointless. Just a thought: Perhaps tourists come from Europe (and obviously elsewhere) to Australia at this time of year for the sunshine and the beaches….not for our ski resorts? Perhaps this event is just another step in offering something a little different and only adds to an ever growing and thriving outdoor activity industry? Price to enter and ROI: may well be higher than what one may pay elsewhere. As I personally can not afford to go to Europe or even Adelaide for TTDU, I wouldn’t know. Its probably best to simply say that I (like I imagine many others at the event), participate in what we can when and where we can. It was the inaugural event of its type here conducted under a banner, that as a passionate amateur cyclist in Oz is as close as I can get to the real deal. So; for me, it was worth it. Will I go in again next year? Yes. Resoundingly; Yes. Thanks for the comment Alex, sounds like a great day! Interesting point about cost – the proximity, cost wise, does suit southerners. It would be an investment similar in cost to a TDU event for me. So you’re right, we all make our own choices. I agree that it’s a good event, and 4500 participants would seem to indicate it will continue, which is great. Hey, interesting reading your review (after I’ve done the actual “Race”). Lots of good points, as Alex says, the ski tube worked out well, so the Logistics were okay. I would say the the Peaks challenge is better bang for your $. Especially Falls creek – you don’t have to bother about loading up the car at 5am to get there for a 7am start, I heard of a rider in a panick because he left his helmet in Jindy. Also Falls creek had food (pancakes, pasta, pizza etc) and all sorts of drinks at the end of the ride. L’Etape was restricted to soft drinks, sausage rolls and beer and we had to sit in the sun on hay bails. Most riders just hopped on the tube and made their way back. Regarding timing, from Sydney, it worked well. I took Friday off, rode Sat and drove home on Sat night, minimal time off work an minimal away from family. The one thing that made this ride different from Peaks series is having Froomie riding along with us in the Peloton, great stuff! I would say it is worthwhile doing the race, the Snowy Mtns are fantastic, but I doubt I’ll bother doing it again. Hey Paul, glad you had a great day and were able to whip down from Sydney. I competed in the Étape Australia “Race” and have ridden several Étapes in France. I’d give the Australian event 7 or 8/10 – pretty good for a first time running. • Overall, the route was more challenging than it looked. I’d calculated about 1,700m of climbing but it was actually at least 2,700m. That’s certainly not out of place for an Étape in France. I was happy to get across the finish line. • Col de Beloka was short at under 3km, but was still hard. It’s over 100km into the race and first section is very steep. Don’t think I’ve ever seen as many people walking up a col or Alpe in France. • Kosciuszko – whether col or Alpe – was also tough. It starts 134km into the race, so it was hot by the time most of us reached the base of the 22km grind. A couple of downhill kms provide relief but also mean the real climbing gradient is probably close to 6%. That would be a rated climb in France. You’re right that entry’s expensive, it’s inconveniently located and the timing is odd. It’s not an Étape du Tour but for those can’t afford the time or cost of a trip to France in July, it has an authentic feel and is definitely worth a go. Hi Paul, awesome comments, cheers. Hope you had a good day. I am considering it in 2017. Interestingly, came across this today and felt I would throw in my 2cents (FWIW) as I recently completed the l’etape australia. Re qualifications for comment I have finished all Peaks Challenges within said time limit – Gold Coast, Falls Creek and Cradle Mountain. Cost wise – yes I have to agree we do get hit with large entry costs, that said I am Sydney based and the cost for l’etape or Peaks ends up around the same with entry, travel and accommodation. Re atmosphere – for the inaugural l’etape Jindabyne and surrounds really served up a fantastic atmosphere – perhaps not up there with France but pretty good in fact even out on the backroads the locals were out cheering and hi-fives with the kids. Transport with start and finish 45km apart was a non-issue. the ski-tube train efficiently ferried riders from Perisher back to the start line. Thanks Greg – some awesome comments there, and great feedback. Hope you had a fab day – would you do it again? Might see you at Peaks GC in ’17. Late to the post, but hey!. I was interested in the initial pricing for the event, which was under $100. For that, it was attractive. Then the ‘real’ price was advised, the attraction faded quickly(!). As an est. (4500 riders x $300) the event grossed $1,350,000. Not a bad days work! For the $$’s (maybe a little more) I’d like to see a multi-day stage race like Haute Route. Until then I’m sticking to the ‘The Alpine Classic’. Bright is a magic place, Audax Australia have run it very well for years and there are all variations of courses (easy to v.hard). Hi Bob, thanks for the comment. I agree, $300 is a lot, but it’s on par with Peaks. Having said that, I think Peaks is much better value for money given the length/difficulty (though many will think Peaks is too hard). And I think that’s especially the case for Peaks Gold Coast. Lots of accom, lots of places to eat, easy to fly to. You can get a plane to Canberra and drive only two hours. Brett, sure, but some people need multiple connections to Canberra. g’day, a late post… I did the Ride last year, so wanted to offer my perspective. This was the first Gran Fondo I’d ever done, and it was an absolute blast. Around July 2016 a friend & I talked each other into going… you know – the “I’ll do it if you do…”. And before you knew it, we were both wondering how we’d get from doing 30Km rides once a week, to the standard required to finish the Ride (126Km). Having this as a goal was a fantastic way to focus the training – there was a very clear objective, we had a rough idea of how hard it would be (waaaaay harder than we were used to!!!) and set out ramping up training to try and get there. Despite injury, sickness and not being nearly fit enough to start with etc we got there, and it was a hoot. Honestly – I had so much fun I almost laughed the whole way. And in the end we finished, felt like a million dollars despite being absolutely buggered, and will I be back? You betcha! And now? I do at least one ride > 160Km per week, normally doing > 250Km / week… let’s just say I’m riding significantly more and faster than I was 12 months ago. And the two things that got me here now are firstly my friend, and secondly the race. I’d also like to extend my thanks to the people of the Snowy’s – you were amazing. Quite literally the entire way was lined with people waving, cheering us on. They were friendly, welcoming – I have no idea how many were volunteers and how many were merely curious onlookers, but it really had a great feel. And we were in the fourth group to come through – not like we were leading the pack or anything! Other things too that you noticed – the roads were swept – in some places quite literally with brooms to remove gravel and debris. It was clean – pretty. And this made a difference to how safe it was cornering, on the descents – you noticed it and I certainly appreciated the effort. The food stands were good – neutral, fast, well stocked a lot of choice lots of toilets lots of water they worked really well. A lot of road patrols (cops on motorbikes mostly) cruising up and down making sure noone was in trouble, meant you felt that if you really came unstuck that you wouldn’t be stuck. The only thing that I experienced that didn’t run as well as it could / should was the shuttle back to the starting car park – took about 90 minutes to get back there. So my perspective is a little different than Tim’s, and sure I appreciate that you have to weigh up bang for buck. Given I’m doing a long ride around Sydney every weekend, suddenly rides like the ‘Gong or Sydney Cycle don’t seem nearly as appealing – I can ride down there and back by myself for free.. thanks! (I think it’s at this point that my wife reminds me of how much I spend on this habit…). So how is this different? In fairness it’s not trying to compete with these two particular rides. Firstly it’s significantly harder than either of them, and it has closed roads. I’m not doing Sydney Cycle again – the start stop experience waiting @6am in the CBD for the lights was just ridiculous. If you have 10s of thousands of cyclists moving through an area for an organised event you think that the City of Sydney could coordinate controlled road closures or at least manage the intersections with the Police so that it wasn’t so painful. It’s not billed as a race, it’s not trying to be the LeTape but I won’t do that particular ride again. So, from my perspective LeTape was a great experience – a heap of fun, a great motivation to actually get fit enough to get there. As for the difficulty rating – it’s harder than a ride from Sydney CBD to the Gong & back or Katoomba & back. I don’t have enough experience to comment on how it stacks up against other rides though. To the people of the Snowys… thanks & see you again 2017!